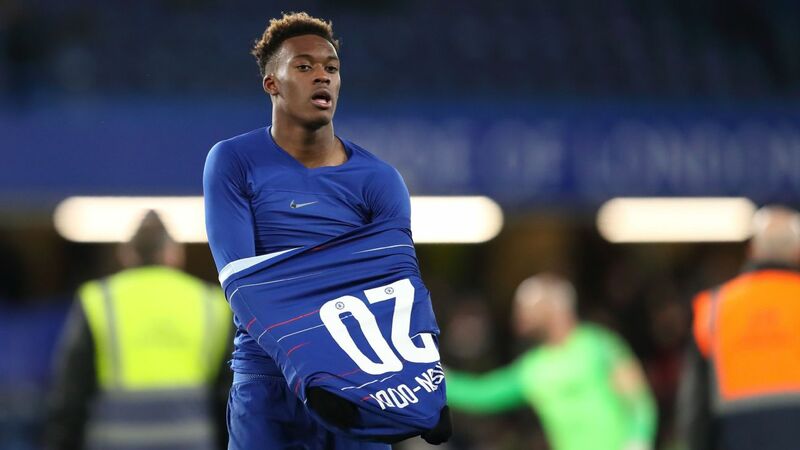 The Sun reports that defending German champions Bayern Munich will return for Chelsea’s Callum Hudson-Odoi in the summer. That’s according to their CEO Karl-Heinz Rummenigge, who has commented that he is convinced the Chelsea teenager is the right fit for the club. “I guess [Bayern sporting director] Hasan [Salihamidzic] is a bit like [club president] Uli [Hoeness],” Rummenigge said. 22.52 GMT: That’s going to bring Saturday’s live edition of Transfer Talk to a close. Thanks very much for joining us, and be sure to check back in a few short hours when we return with the latest gossip pulled from Sunday’s back pages. 18.30 GMT – DONE DEAL: Former Cardiff defender Ben Turner has joined Mansfield Town after leaving Burton Albion. Victor Font, who is planning for a run at the club presidency, is quoted by the Daily Mirror as saying: “I’m in tune with Xavi, in relation to the project, and personally I love talking to him about football. 14.45 GMT: Newcastle’s club-record signing of Miguel Almiron proved to manager Rafa Benitez that the club “means business,” Magpies legend Alan Shearer has said. “He needs to keep motivated,” Rooney told the Washington Post. “He’s a professional player; I’m sure he will. 10.20 GMT: Tottenham may still be without Harry Kane for the next few weeks, but that hasn’t stopped them letting another forward leave the club. The England youth international made one senior appearance for Spurs, against Liverpool in a League Cup match at Anfield in 2016, and has made 50 appearances for Tottenham’s Premier League 2 side as well as stints on loan with Yeovil Town and Southend United. The 21-year-old also trained with the England squad before Euro 2016. The Brazilian outlet claims that Willian, 30, wants a three-year deal, which goes against the Blues’ policy of only offering 12-month contracts to players who are over 30. “The only player we had interest in was Gary Medel,” said Pellegrini. AC Milan Sporting director has indicated that Chelsea’s on-loan midfielder Tiemoue Bakayoko would like to stay on a permanent deal after the end of this season according to Corriere dello Sport. Football Whispers’ transfer algorithm gives the likelihood of rumours happening a score out of five. Dortmund now value the former Manchester City youth at £90m, but according to the Metro that won’t deter Manchester United who want to bring him back to England and annoy their neighbours. The Chelsea defender rejected a number of offers this month, with a number of clubs interested including Monaco, Juventus and Fulham. However, he’ll have to look for another club in the summer when his contract expires, and Fulham are currently the favourites. The Barcelona midfielder was linked with a move to Chelsea this month, and would have been a good fit in Sarri’s system, but he has since indicated his desire to sign a new deal at La Liga champions. This was always going to be one for the summer, rather than January, and Sky Sports believe that Ole Gunnar Solskjaer’s side will follow up their interest in the PSV winger when the transfer window next opens. This one almost happened, but according to the Athletic the clubs couldn’t agree a fee within the deadline and the Argentine remains at D.C. United. This also suggests it could be revived in the summer when negotiations can continue.